CEOCFO: Mr. Davis, what is going on at HCR Software? What is the basic idea behind the company? Mr. Davis: We help compensation teams manage the process for giving annual increases, quarterly bonuses and we prepare Total Rewards statements. On the more strategic level, we help organizations to put in place a technology framework that allows them to build and maintain a strong relationship between the performance of the company and the compensation of their employees. What we have discovered is that organizations that lack compensation technology support eventually allow their internal structures to age to the point where they are no longer effective or they centralize decision making to simplify administrative burdens. Getting all the managers involved all the way down to the bottom level and having the ability to revise that framework as needed in a rapidly changing business environment requires technology support. CompensationXL is that technology support. CEOCFO: What types of companies are generally using CompensationXL? Do many companies recognize the need to pay attention to this area of their business? Mr. Davis: Our client base is pretty broad across industry size, geography, and size. Most of our clients are US based organizations with between 250 -5,000 employees. Over fifty percent of companies, when asked, �How do you manage compensation,� will answer by saying that they use Excel either extensively or exclusively, as it relates to compensation planning. The largest organizations tend to use their ERP modules. In the mid-market they are in various stages of technology adoption as it relates to compensation planning. However, any company with over two hundred and fifty employees that rely on manager discretion is feeling enough pain to understand the need. CEOCFO: Do you do much education to increase awareness or are you getting traction without making the case? Mr. Davis: I think we are able to get enough traction without making the case. One of our distinctives in the market is that we do not come with an �out of the box,� cookie cutter workflow. We support the workflow of the clients. The main reason why many organizations stay with Excel, even as they grow past that two hundred and fifty or even past the five thousand employee mark, is because the compensation systems they have reviewed were simply too rigid to meet their needs. Many vendors take a one size fits all approach and if the compensation team doesn�t want to change its process to fit the vendor�s software, the compensation team often just decides to stay with Excel. Again. Our approach is to come alongside the client and automate their process, not force our process onto them. So rather than taking an educational standpoint we take a consultative sales approach. CEOCFO: Would you walk us through a somewhat typical engagement? How do you understand what a company is doing, what they might like to do- sometimes what people say they want is not really what they need? How do you engage so you can come up with a solution that makes sense? Mr. Davis: We do a discovery call on the front end and ask about the current state of their compensation planning process, including things like which compensation components are in place, how many employees are being planned for, what technologies, if any, are in use. Once we have identified that goals or pain points we ask to see a sample of the planning workbook that they are currently using. As an Excel compatible cloud solution we can learn a lot about the company�s compensation plans and their needs by simply forensically investigating their most recent planning template(s). CEOCFO: Do you see being able to work with Excel as important? Mr. Davis: It is an interesting question. I think the market operates sort of like a pendulum. Computing goes through phases or waves. You had your mainframe wave and then the opposite, the client server wave. Now it is the cloud wave, which is many ways is similar to mainframe just accessed through a browser. I would say the situation is similar with companies using a manual Excel + email planning process. After a long arduous compensation review cycle, many have exclaimed �We just have to get away from using Excel.� So they go to implement their ERP module and they use it for a few years and they find themselves saying, �You know what, this is too rigid. We are avoiding making the compensation strategy changes we want to make because of our technology limitations.� At that point in the pendulum, many begin to look back to Excel for part or for all of their planning needs so they can regain the required flexibility to keep pace with a rapidly changing competitive pay landscape. So it turns out, it is important to have the flexibility of excel, organizations just need to stop throwing out the baby with the bathwater. Excel was never the problem. A manually administered compensation process that is the problem. But letting compensation technology feature limitations drive compensation strategy, that too is a problem; arguably a bigger problem. Companies are tired of choosing between Excel�s flexibility vs. the process automation that software can bring. The good news is they don�t have to choose anymore, thanks to CompensationXL. CEOCFO: What might you look at when you are coming up with a solution that less experienced people do not take into account? Mr. Davis: While we have a consultative approach and do not have a single best version of best practices that we push. We do attempt to add value by asking questions and making recommendations based on what we have learned in the industry. For example, one of the things that matters in today�s era is the employee benefits cost perception gap. Employees are spending more money on healthcare than ever and they are looking to their employers and saying, �You must be skimping on healthcare spending.� But the reality is that employers are also spending more on healthcare than ever before. So at the end of a compensation planning cycle, what type of communication is going out to the employees? Does what is being sent contribute to or resolve the benefits cost perception gap? A company asking us to automate their current state might only be providing a year end cash compensation summary. While we could simply do what was asked, instead, we would ask questions to see if the time is right to roll out Total Rewards Statements that pull together cash, non-cash, employer contribution, retirement and even stock components into one attractive statement that gives the employer the chance to really showcase the investments they are making on behalf of the employees. CEOCFO: What happens when you create a solution? How do you implement? Is there ongoing communication with your client or are you setting them to do everything themselves once you have got it in place? Mr. Davis: Much of the strategy for software firms is typically driven by investment strategy instead of by customer service strategy. We have taken the long view and so we utilize a named account strategy. We do not get a client to go-live and then pass them over to a call center. We form deep, long lasting relationships with those clients. The same person that does the sales process requirements analysis will typically be involved in the implementation and will typically remain their point of contact for years after the �go live�. Our clients don�t have to call a support center and re-explain how they use the software and what their business rules are each time they call. Our team serves as a knowledge-able extension of the client�s compensation team. CEOCFO: Do you find that is becoming more important today to do all in-house? Are people appreciating it more? Mr. Davis: When a third party implements software on behalf of a vendor, often a lot of institutional knowledge is lost with the hand off to the vendor�s support team. When you are in the middle of a top planning cycle that might take anywhere from three to six weeks and you have got an emergency where an executive team member is asking to see data a certain way and you are calling a call center to whom you are as stranger, it�s hard to get a timely solution. CEOCFO: How does a tight job market or a very wide open job market come into play when working on compensation formulas, ideas or plans? How are you able to help a company switch if the economic environment changes rapidly or maybe changes more slowly but they have not paid attention? Mr. Davis: One of the things that many compensation professionals are doing is trying to keep tabs on how their internal pay compares to external sources. They are using market data to make sure that they are paying at a competitive rate. However, even if the jobs are priced right, you still need manager discretion because they know the high potentials, the performers and the must retains. It seems that every year people wait with baited breath for the survey to come out and say, drum roll please, surprise, it is going to be a three percent budget increase again this year. When you are giving basically all of your employees an increase between two and four percent you are in fact likely losing top talent. Being able to materially differentiate pay based on performance scores, key performance indicators, financial performance, department performance, and even individual contribution is key to engagement and retention of top talent. Yes it means giving some employees zero percent and others ten percent. Although that idea is scary to many without technology support, it is absolutely do-able with an auditable, defensible, incentive structure managed in CompensationXL. CEOCFO: What surprised you as HCR and CompensationXL have grown, evolved and reached the point where you are today? Mr. Davis: The demise of Excel has been long predicted in the same way that the job posting was supposed to go away and the resume was supposed to go away. Now they tell us that the performance review is the next thing that will go away, which I hope that one actually does go away. But Excel has not gone away as predicted. When employers find that their compensation technology is the tail that wags the dog on compensation strategy, they tend to revert back to excel. Even though the technology adoption curve for compensation modules has been ongoing for more than a decade, the number of companies that continue to use Excel manually is surprising. Mr. Davis: Our team is based on the east coast of the United States. Our clients are across the US and into Canada. Many clients have international employees so we offer a multi-currency solution and remain focused on data directives like Privacy Shield and GDPR compliance. CEOCFO: What are some of the challenges when dealing with a multinational company that not only has a different monetary structure, but perhaps a different cultural structure in certain locations? Mr. Davis: The ability to have, not only currency conversions, but different incentive structures across business units or across regions is important to many clients. And sometimes an employer finds it important to segment their data so that an admin role is specific to a geographic region. CEOCFO: HCR Software will be participating in a technology conference in September. How do you standout when there are so many companies at a conference showing what they offer? Mr. Davis: We stand out on our Professional Services Structure. If you go to any of the consumer reports for the Software as a Service space, like Capterra or G2 Crowd or SoftwareAdvice, and look at who the top players are in each category; if you do that for compensation management we would be at or very near the top, with close to five stars from dozens of reviews from happy clients. If you get beyond the number of stars and look in the comments you will see that we have formed long term relationships and we are customer driven, both from a technology design standpoint and from a support strategy standpoint. We are not really looking for wide appeal. We are looking to find the right clients that are looking for a true partner in the area of compensation and for a good long term fit. CEOCFO: Can you tell when you start talking with someone if they are serious, if they are really looking to make a change or if they are just wanting to spend some time? Mr. Davis: �Tire kicking� is how the vendors describe that. When you have got the bingo card and you need all the vendors to stamp your card you have to go up there and act nice. Those people become tire kickers. We try not to participate in those things so we don�t get caught up dealing with tire kickers while someone with real needs is walking by but can�t get to our booth. We are a bit non-conformist from traditional branding and marketing models. We got a lot of business from client referrals and occasionally even from client contacts that move around. We have had many contacts that have moved from company to company and brought us in multiple times. They just love working with us and we feel the same way. CEOCFO: Who are you typically working with at a company? Mr. Davis: The director of compensation would be our traditional economic buyer for companies with between one thousand and five thousand employees. When you get below that level it varies greatly; anyone from the HRIS managers, to the VP of HR, to a comp analyst. It depends on how the compensation function rolls up within the smaller organizations. People at organizations that size are often wearing lots of hats. CEOCFO: What is ahead HCR Software? Mr. Davis: We are very excited at HR Tech to be launching a Total Rewards Solution as a standalone solution. It is software that is designed to be mobile friendly so it has a responsive design. As I have mentioned, one of the pressing business needs that many organizations are dealing with is the perception gap, where employees feel like the employers are skimping on their healthcare costs, because the employee feels the pinch in their pocket book. We are bringing organizations the ability to provide ongoing visibility for their employees the way they live, and where people live now is mobile. Whether it is an iPhone or an Android or an iPad or a tablet device, being able to log in and refresh their memory regarding that perception gap so they are left thinking �My employer is investing more in me than ever and I have no reason to look elsewhere�. CEOCFO: Would the Total Rewards application and with that concept, is it pretty similar across all industries, across all level of employees or might you help them tailor a message depending on what industry they are in or who they are trying to reach in their company? Mr. Davis: That is a great question. In the software we provide, we strive to offer enterprise level configurability at a mid-market price. We like to say yes to client requirements and to mid-market budget constraints. So we have kept our prices low but our configurability high. As we enter a new space like Total Rewards software as its own thing, we think very carefully about configurability and whether an organization needs multiple statements or just one statement that is really intelligent and can suppress sections that have no value, that do not look attractive for specific employees. Flexibility, the ability to do very custom tailored statements by business units, by job levels, by geography is absolutely a part of our strategy. 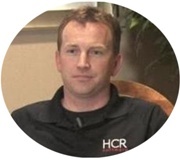 CEOCFO: Why choose HCR Software? Mr. Davis: Our team would be delighted to serve as an extension of your compensation team. If you are looking for a flexible tool that will support your processes instead of forcing you to change your process to fit someone�s software, then take a look at CompensationXL.